316L Surgical steel Labrets with Glitter Balls. 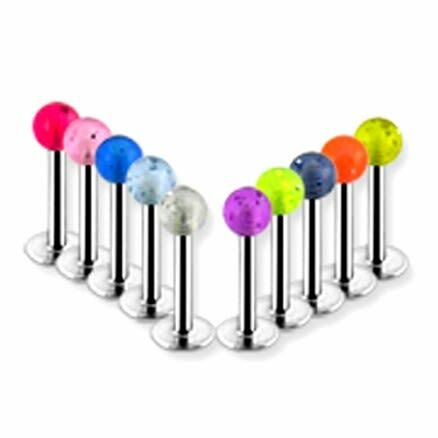 Accentuate your body piercings and be ready to earn compliments from everyone by wearing the visibly stunning 316L Surgical Steel Labrets with Glitter Balls. It is made of fine quality steel and features a glitter ball on one end for added appeal.